Troffers & Flat Panels - Revolution Lighting Technologies, Inc.
Energy-efficient LED troffers deliver significant benefits over traditional fluorescent lighting. 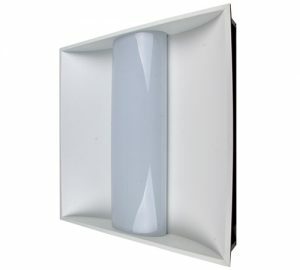 We have two types of these LED fixtures: Single-barrel LED troffers and LED flat-panel troffers. Both provide substantial energy savings and have smooth light distribution and dimming. 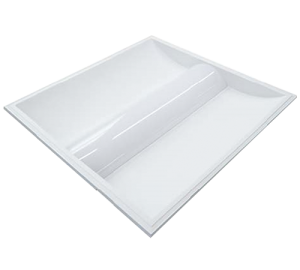 A troffer is a rectangular or square interior LED fixture that fits into a modular dropped-ceiling grid. Troffers usually come in standard sizes, either 2’x2’ or 2’x4’, and often in 1’x4 as well’. 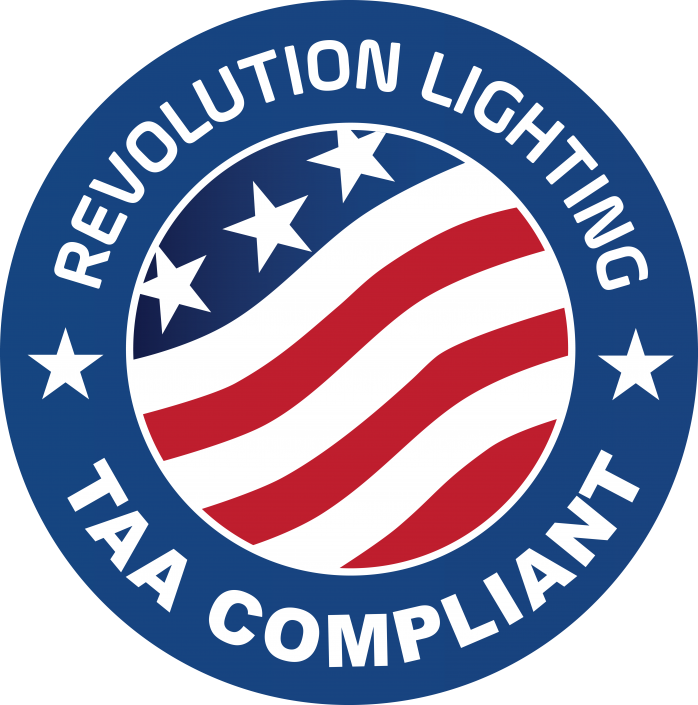 Revolution Lighting offers two types of troffer LED fixtures: single-barrel troffers and flat-panel troffers. Both types are typically recessed and flush with the ceiling. Other installation options are possible. Our troffers are IC-Rated, which means the luminaire is thermally protected and designed to be safe when surrounded by ceiling insulation. In addition to their energy savings, troffers provide exceptional illumination with 0-10V dimming capabilities. Revolution Lighting offers multiple single-barrel LED troffers to meet a wide range of needs. These LED fixtures have a single diffuser lens shaped like a half barrel. Our frosted lenses provide optimal light diffusion, with polycarbonate fabrication that makes the fixture much lighter and safer than glass. 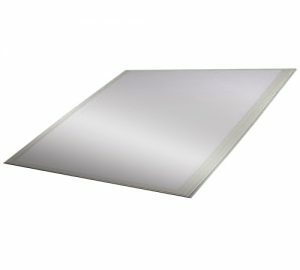 Revolution Lighting’s LED flat panel troffers, also known as LED flat panels or LED thin panels, look sleek and modern wherever they’re installed. With slim aluminum frames, our LED fixtures are lightweight and durable by design. 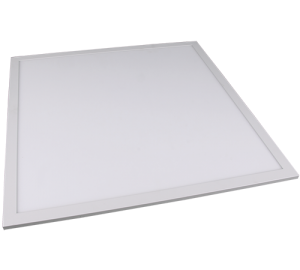 The edge-lit LED flat panel diffuses light through a thin, specially designed light guide-plate, layered with a diffusion plate for exceptionally even illumination. Revolution Lighting’s LED troffers are perfect for offices, schools, hospitals, laboratories, and showrooms. Their stylish look provides an instant, eye-catching aesthetic upgrade when they replace other troffers. These LED fixtures generate high-lumen output levels to beautifully illuminate spaces with notable energy savings. If you’d like assistance designing the optimal lighting layout for your project, our lighting experts are available to provide photometrics and guidance. Feel free to contact us!